Home Off Beat	Cherry Blossom tats most desired by young damsels! Cherry Blossom tats most desired by young damsels! Cherry blossom tattoos are one of the world’s most famous body art tattoos. Delicate and feminine, these tattoos are mostly admired by young girls and women and their popularity is increasing day by day. These tattoos are not just beautiful to look at, but they are ultimate symbols of beauty, grace, power and mystery. Cherry blossom tattoos are always alluring and if they are done properly they are really eye-catching. 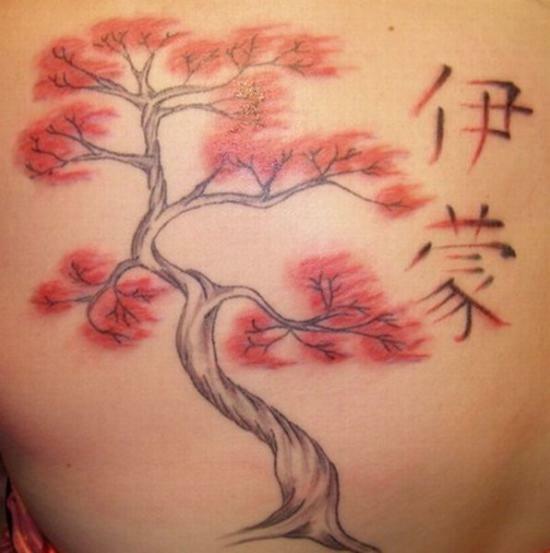 Pictured here is yet another cherry blossom tree tattoo with the Chinese symbol which is a great piece of art. I really loved this tattoo and I wonât mind getting one etched! ← Plain ‘inverted comas’ for a tattoo – Life ain’t that blank!